My parents have the most amazing lemon trees. When I was growing up we used to joke about how lame the two trees as the lemons were always thick skinned and dry on the inside. They were also the strangest shape ever! 10 years later, the trees are huge, full of juice, and still the strangest shape. I pulled one off the tree the other day that looked like a pear. Yeah. Whenever I bring a bag of lemons home from their house, I start thinking of what to make. 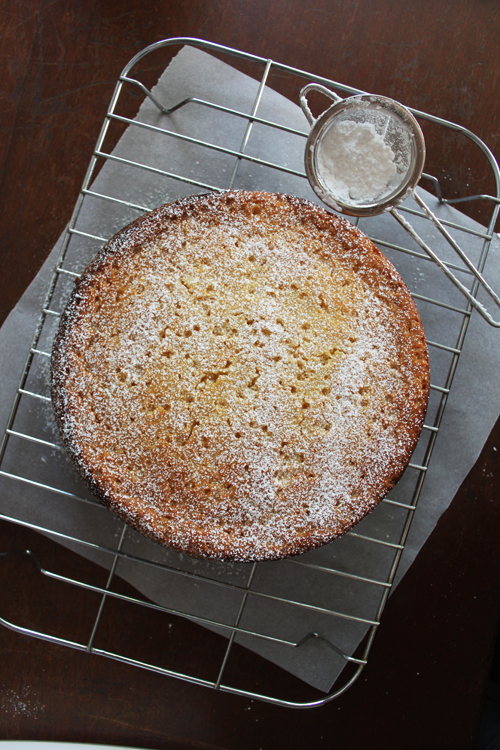 I’m not a big fan of cheesecakes so that’s out, but I do love a good lemon and ricotta cake. I search around the net and found this recipe. It was simple, my type of cake. You could probably go all the way and take out the flour completely and use more almond meal. 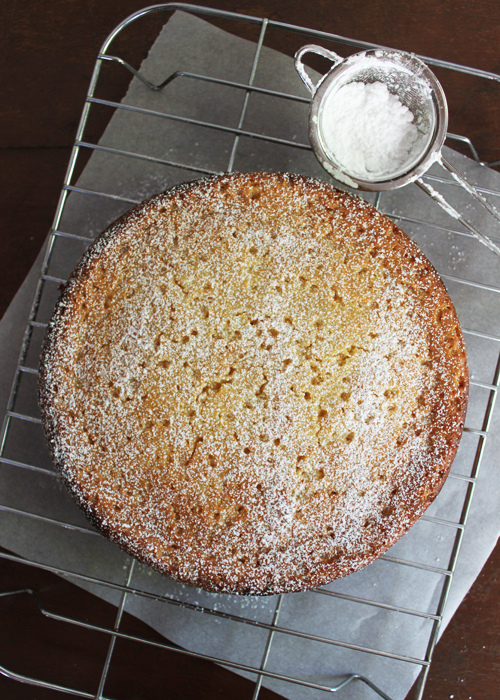 I picked up another bag of lemons yesterday so am thinking of making a lemon syrup cake (like the one Julie made of Masterchef the other night… drool). Oh and one more note, you might wonder why I’m so quiet lately, well it’s cos of a couple of things. First, it’s winter, and taking photos without proper lighting is a nightmare. Secondly, my spare time is being taken up with design work for a small business. Thirdly, my mind is completely distracted from my kitchen renovation plans!! So freakin’ excited. I will keep you updated on this, cos after all, it’s the place all these recipes come from. Update: Totally forgot, FOURTHLY, it was my birthday on Wednesday, so you know, lots of dinners, being distracted and allowing myself to be lazy. In a second year of tradition, I made these birthday scones again. The perfect work birthday morning tea! Preheat the oven to 180C. Line a 20cm baking tin with baking paper and set aside. In a separate bowl, beat the egg whites until light and fluffy. Add one heaped spoonful into the batter and fold gently. Add the rest and fold until all incorporated. Pout the batter into the baking tin and place in the oven for 45 minutes. Place a skewer in the centre of the cake to test whether it’s cooked – it should come out clean. This is a really moist cake so you might notice moisture on the skewer but this is ok. Allow the cake to cool on a wire rack before serving. Serve with cream. I just made this, it's yum but VERY MOIST, fall apart moist, think I should have cooked it for an additional 5-10 mins. Also, the recipe has a typo which is confusing>> saying 3 lemons, grated and zested BUT it later directs you to add the juice, so I added the juice of the 3 lemons but wonder if that made it a little too moist. Absolutely delicious flavour. If I make it again I will only add the juice of 2 lemons. Hi Natashia, great recipe! Just baked the cake and it was really tasty! It reminds me of a cake that mom used to do when I was a little girl. Waiting for my hubby to come home and try! 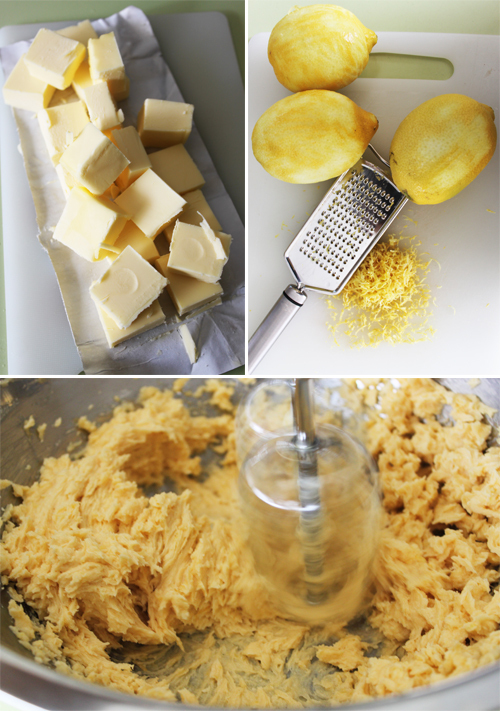 I love baking lemon ricotta cookies, so this automatically turned me to reading this recipe! I would drizzle royal icing over the top of each cut slice to give it a sweetness towards the lemon! Yum, my mouth is watering as im reading this recipe! Can't wait to try this twist off of the cookies I make!